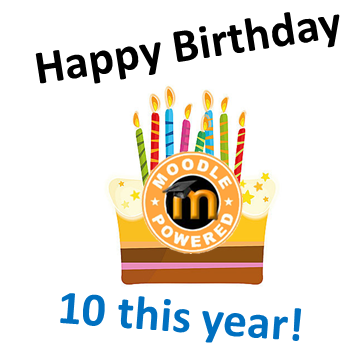 Happy Birthday Moodle, now what about these growing pains you’ve got? Our Moodle is almost 10 years old. Inspired by a presentation from Wildern School we submitted a proposal to our Leadership team and in the April of 2004 Sean Keogh, then of Pteppic.net, installed our server and Moodle came to Perins. Two years later, Mahara appeared and was then swiftly followed by our 1-1 notebook (now eLearning) scheme. With our eLearning thinking it is quite grown up, rapidly approaching the tricky teens and under some pressure from its peers I thought it was time to look at it from a different perspective. The presentation below was part of our regular 10 minute CPD to staff. It was given as we begin of the development of the next three year strategic plan and before an INSET Day where we consider, amongst other things, the role of eLearning. 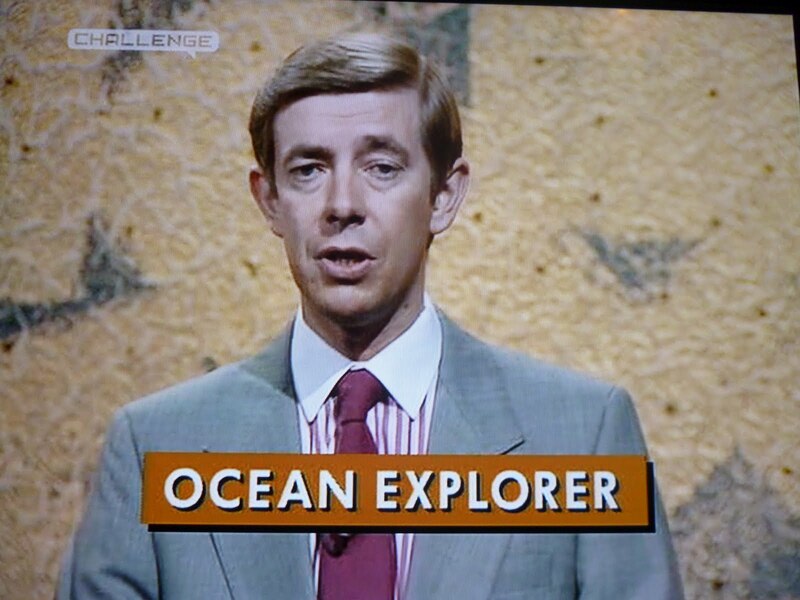 The heady days of Daytime TV and extended lunches while “preparing” for a lecture or delaying a visit to the Physics Labs to get on with my (failing) project. To paraphrase the show (and Henry Kelly), the “heat is on” to produce some ideas and guidance for the Senior Leadership Team as to where we take eLearning over the next three years. Role outside of a lesson. Going for Gold inadvertently led me to the idea of producing a planning document that gave the team options as to the degrees of approach we could take as a school. In the document I also gave some suggestions as to their priority and a possible timescale. In addition, mainly for reference, I looked at two separate but linked areas which were Roles & Responsibilities and Photocopying & Printing!! The model was designed in the form of a rubric which seems to be quite a popular model. Its aim was to promote reflection, debate and discussion. The vision for elearning and digital devices started out as 10 bullet points that were meant to summarise my thoughts and beliefs as to what I hoped you would see at my school by 2016 (to coincide with a new three year strategic plan). 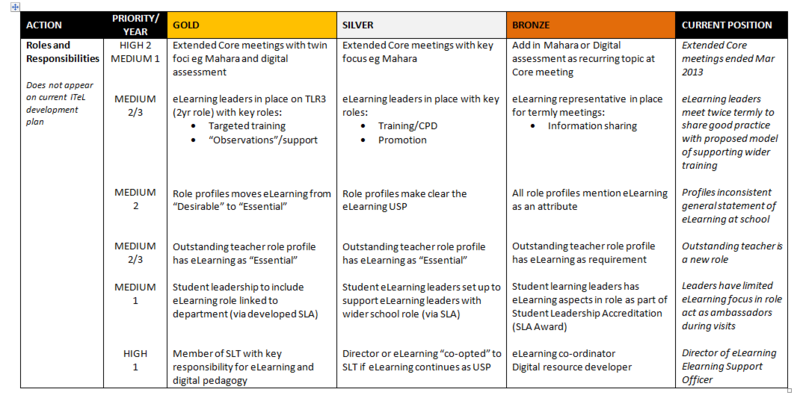 When a colleague sent me a vision of a school he was applying to for an elearning role I was intrigued to see them develop this to include what the vision would mean to every “stakeholder” (rubbish word I know).